Your body adapts to uncorrected spinal stress by depositing calcium into affected joints, ligaments and connective tissues. This process has several medical labels including spondylosis, arthritis and spinal decay. 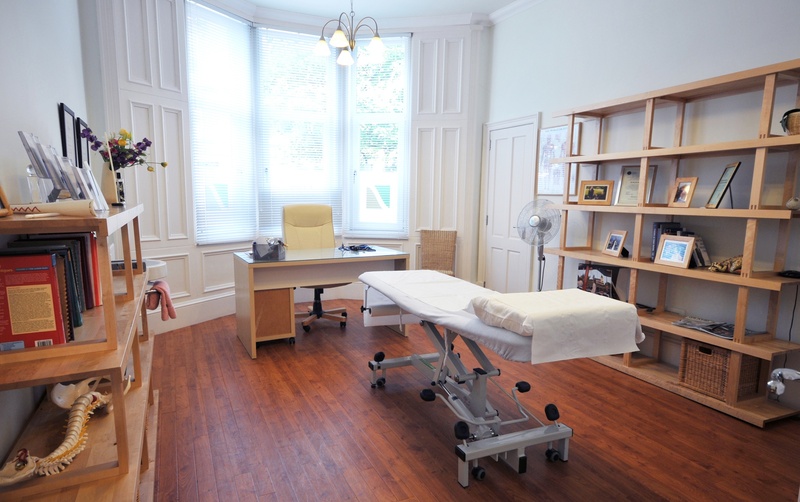 At the back pain clinic we diagnose and successfully treat a wide variety of back pain conditions, from degenerative wear and tear issues, to acute back pain from discs, joints and muscles. We are able to diagnose and treat sciatic pain. From degenerative wear and tear, to acute sciatica from disc bulges or piriformis syndrome. At the back pain clinic, sciatica usually responds quickly to our osteopathic care. A thorough osteopathic examination can help determine if the discs in the spine are the cause of your pain. The back pain clinic can fully assess, diagnose and treat these types of conditions. At The Back Pain Clinic, patients come and see our specialists for treatment for a wide range of back related issues. Please read more to see how we can help. If you have any questions or would like to book an appointment, get in touch with us. Our patients present themselves at our clinics with a wide range of back issues. From Common back pain issues, to more complex back problems, the often acute pain is often difficult for the sufferer to manage. Acute pain is normally an issue that has been present less than four to six weeks. Mechanical back pain normally is the source of pain from the spinal joints, discs, vertebrae or soft tissues. There is also acute mechanical back pain which is also called acute low back pain, lumbago, idiopathic low back pain, lumbosacral strain or sprain, or lumbar syndrome. What causes low/mechanical back pain? Diagnosing the precise cause of your type low/mechanical back pain is vitally important, especially if it is a specific trauma to the back or strenuous activity is the cause of the pain. It implies the source of the back pain is in the spine and/or its supporting structure. The surrounding muscles and ligaments may become inflamed and irritated. What are the symptoms of low/mechanical back pain? Most people experience pain primarily in the lower back. The problem you may have may be originating from a difference source to where the pain may spread to (radiate). From buttocks, to the thighs or knees, a lot of these ailments can be sourced to back pain. You may also be experiencing spasms with mechanical back pain. The symptoms of low/mechanical back pain are generally more noticeable with flexion of the back and when lifting heavy objects. One other type of back related pain is sciatica. This is usually caused by a pinched nerve, when a protruding disc is putting pressure on a spinal nerve. With sciatica, the pain frequently extends below the level of the knee. We take time to carefully diagnose and evaluate your medical history. Then we will conduct a physical examination to determine if you have a treatable back pain issue. With our wide range of treatments, we work with you to create an appropriate treatment plan for dealing with your back pain. If your symptoms or examination reveal the remote possibility of an infection, malignancy or a pinched nerve, additional tests may be necessary before treatment can commence. After years of physio, meds, exercise, they were able to not only fix the problem, but get me through a pregnancy back trouble free. I have been to a lot of different practices, but this one is easily the best by a long way.